Charles T. (“Chuck”) Hurley has been named registrar of the University of Notre Dame by Thomas G. Burish, University provost. Prior to the appointment, Hurley had served as Notre Dame’s interim registrar since the retirement of his predecessor, Harold Pace, in 2011. Hurley had also served as associate University registrar and the director of the Summer Session. 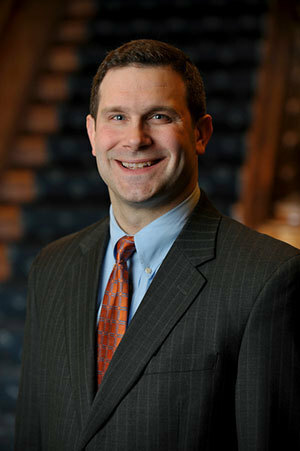 A 1993 alumnus of Notre Dame, Hurley earned a master of science in administration from the University’s Mendoza College of Business in 2001 and a master of arts in theology from the University in 2007. Hurley’s responsibilities as registrar include the administration of information systems preserving student academic records and supporting academic programs. He also oversees the implementation of the University’s academic code, the development of its course schedule, the scheduling of classrooms, the administration of the summer session, and the coordination of commencement ceremonies and other University convocations. A member of the University’s staff since 1996, Hurley established Notre Dame’s first institution-wide degree audit and online class search system. He also led numerous initiatives to improve academic technology services to the Notre Dame community. He is a former president of the Indiana Association of Collegiate Registrars and Admissions Officers. Hurley is married to St. Joseph County Superior Court Judge Elizabeth C. Hurley, a 1995 Notre Dame Law School graduate. They have four children. Originally published by Michael O. Garvey at news.nd.edu on April 22, 2013.